Ask a smoker why they are trying to give up and they will usually mention health as one of their top reasons. Plenty of people are switching to vaping to make quitting easier than it might otherwise be. We’ve read about celebrities who vape, and are seen in public vaping instead of smoking, but what about athletes? This is an altogether different area. After all, peak physical fitness is vital if you are going to compete to the best of your ability against the best in the world. Now we find it hard to believe there isn’t a single athlete or sports-person out there who doesn’t smoke or vape, even if it is only very occasionally. Yet it is very difficult to find evidence of anyone in the sports world vaping in public. We’re prepared to believe there are very few athletes who smoke, since it is known to be bad for your health and can reduce lung capacity too. Think about it – whatever type of sport you play, you will need good fitness levels and plenty of energy to keep up with the opposition. How many rugby players, footballers, tennis players and athletes can you think of that have stopped mid-game or competition, doubled up with a hacking cough? However, we’ve discovered evidence of legends such as cyclist Bradley Wiggins smoking, not to mention footballer Wayne Rooney. It may only be the odd one, but they’ve done it nonetheless. Ironically it is much harder to unearth information about sportspeople vaping, although there are a few examples we can give you. David de Gea, a Premiership footballer, has been seen with an e-cigarette, for example. 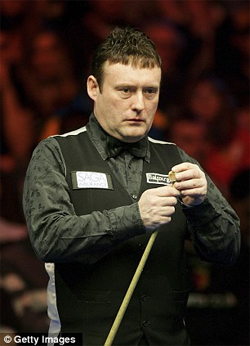 A little further digging revealed that Jimmy White, a famous snooker player, also vapes now. He used to smoke, and now the days of smoking in snooker halls are over, he can at least vape while taking part in matches between frames. Yet we can see that vaping in the sporting world still seems to be a rarity. But is it, or is it just that we never see these people doing it? After all, while some sports stars smoke, they’re not usually seen doing it that often. If they have switched to vaping they may not do that very often either. We think there are probably fewer sports stars smoking or vaping than there are in the general population. So maybe that makes them harder to find. What do you think? E-Cig Vaping News athletes, athletics, e-cigarettes, e-cigs, football, jimmie white, rugby, snooker, sports, tennis, vape, vaping, wayne rooney permalink.